The internet has changed the way that homes are sold, and many real estate professionals are not even aware of these fantastic changes. If you happen to be thinking about selling a home sometime soon, this article will show you how the real estate world has changed, why you should understand about selling a home on the internet, and give you some food for thought before you begin the process of interviewing agents for the job of selling your home. Back in the 1990s, the stock brokerage industry was under-going radical changes, as online discount models were being perfected for use. By creating and offering simple research tools, the average investor now had the same information as stock brokers and were empowered to make their own trades. Had you asked most stock brokers about this evolution in the early 1990s, you would have seen little concern as they all felt secure in the way that their jobs had remained the same for nearly 100 years. But today, there are far few stock brokers working, as the ones without insight, training, skills, and talent are easily replaced with an online trading system. 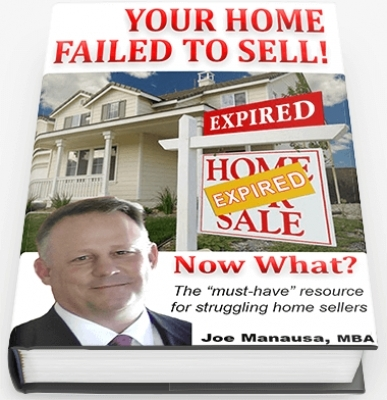 The real estate brokerage industry today is much like the stock brokerage industry then. We have seen the internet evolve from "another place to advertise" to the central marketplace for the real estate consumer. A recent survey of homebuyers showed that 94% of them used the internet during the process of buying their home. There should be no doubt that the internet is the real estate market place of the future, and that homeowners should be prepared for selling a home on the internet. Just being "on the internet" is the focus of most real estate agents. They think this is what it takes to get a home sold. They put their property listings in the MLS which feeds to all the major real estate sites. List with any real estate broker and you end up on all these different sites. But does this get a home sold? The short answer is "No." 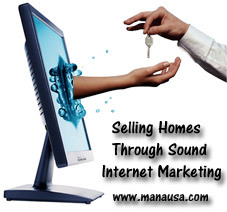 There is so much more to marketing a home for sale than merely placing it on the high-traffic, low-converting websites. A real estate agent who understands buyer behavior on the internet is going to be creating low-traffic, high converting web pages for each and every property that is listed. This is not a one-time thing, but actually a sequence of daily activities. Selling a home on the internet requires a lot of daily work that cannot be done by a single person or agent, and the prudent prospective home seller will take the time to ensure that the agent that is hired can first demonstrate how this will be done. If you would like to know more about selling a home on the internet, you should visit our Home Seller's Resource Page or just preview our Progressive Home Selling Plan below.